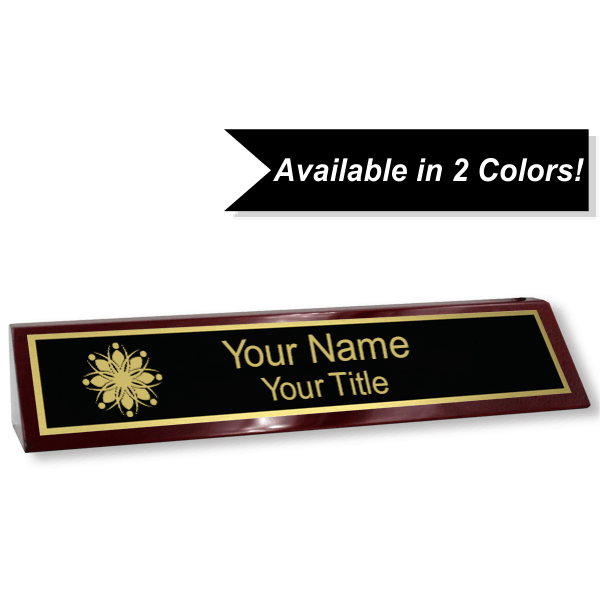 Make your best first impression with Name Tag Wizard's solid wood, custom desk wedges with company logo. Made from the highest quality workmanship, our custom text blocks will add a polished, professional look to your office space. Polished Finish Rosewood Desk Wedge | 2" x 8"
Beautifully crafted from solid wood, Name Tag Wizard's personalized desk wedges with custom logo are made from the highest quality workmanship and made to last.